When roaming around various spots in Spain, I laid taste buds on many paellas. That’s because many tourist-trappy restaurants serve these, and I’m guilty as charged of setting foot in such establishments. Plus, paella is the most well-known culinary symbol of Spain. However, my inner picky eater found the rice:vegetable ratio a little sub-optimal: tons of rice and minimal vegetables. And while that might have been good for helping me walk 6-8 hours a day, my current physical activity regimen requires a tad less carbohydrates/grains 😉 But the tables have turned! 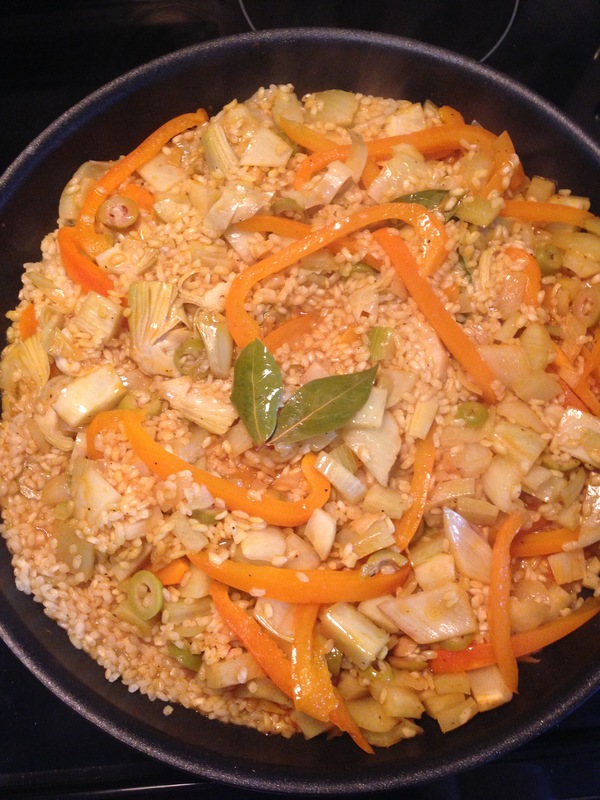 I’ve “untraditionalized” the paella and today I bring you a vegan (!!!) 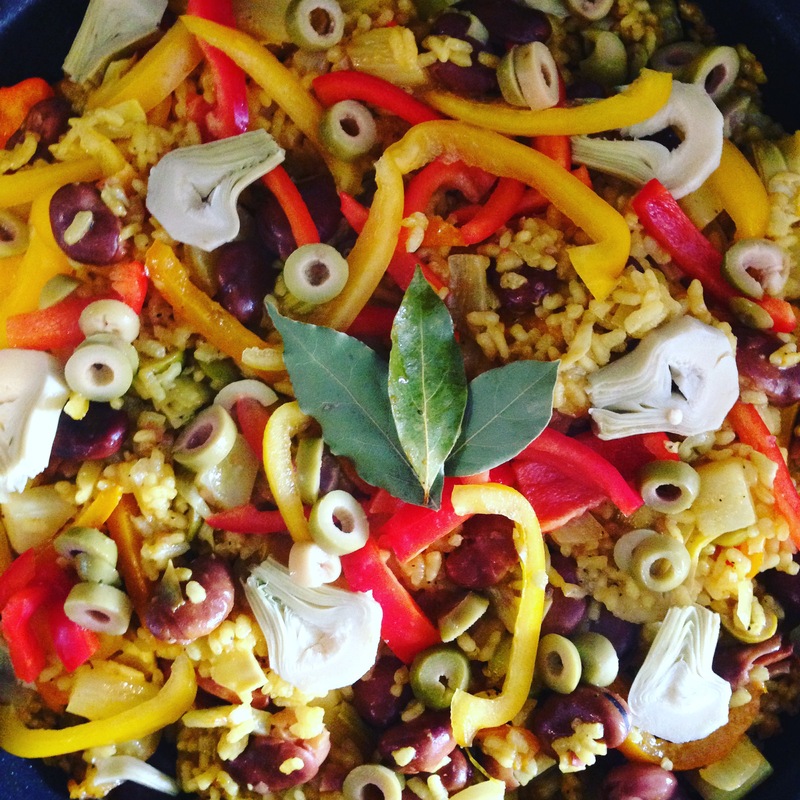 paella that is heavy on the veggies – and flavour! That said, I’ve left in the “secret ingredient” that makes paella so exceptional: smoked paprika (or should I say “pimenón de la Vera”). To be honest, this was my first experience making paella and it turned out phenomenally! I even think it could be one of the best paellas in Barcelona, but for now, it will have to be the best in Québec. The likes of saffron, turmeric, paprika and curry, amongst other spices, give this dish its splendid fragrance. Plus, the hubs says this is his favourite meal of mine I’ve ever made! 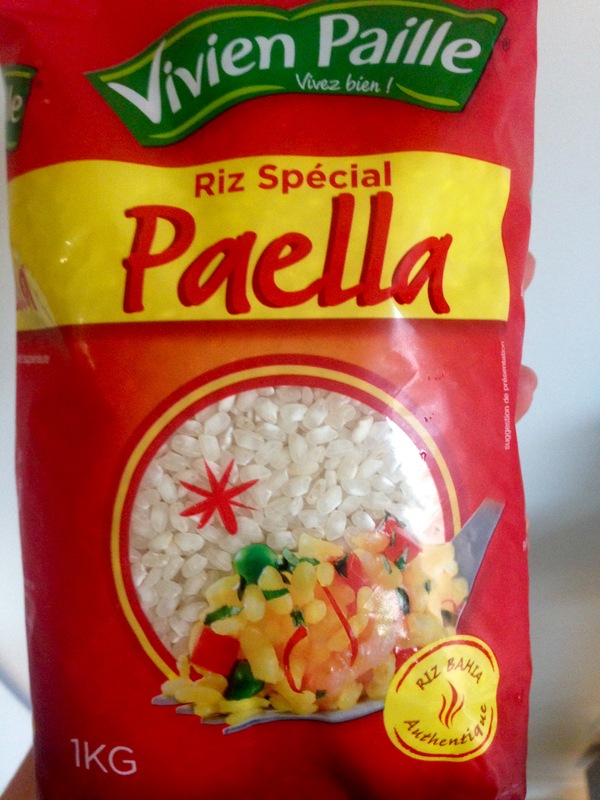 Bahia rice from my local market – perfect for making paella. Paella rice is special because it can absorb a large amount of broth (and wine 😉 ) without becoming creamy or sticky. The beginning of something beautiful! In an 18-inch pan, cook everything together in a large pan, stirring often to prevent burning. Enjoy the depth of your paella’s rich flavours.